Lists are a great way to segment the leads you gather from your campaigns. There are two different list types in Wishpond, Smart and Static lists. 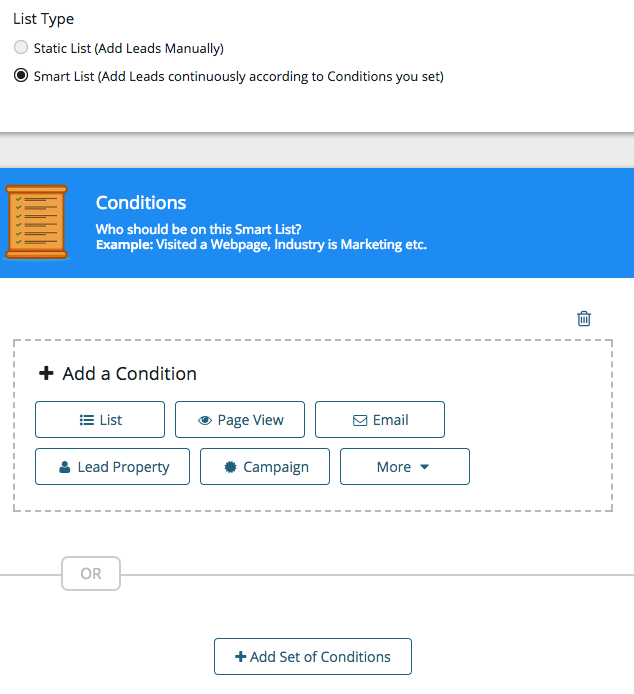 Smart lists dynamically pull leads to the list based on the conditions you set. The leads get pulled on a continual basis, so as leads met the conditions they would be added to the list. Likewise if a lead no longer met the conditions they would be removed from the list. Common smart lists include unsubscribed or bounced emails since this is an easy way to organize which leads have become unsubscribed. 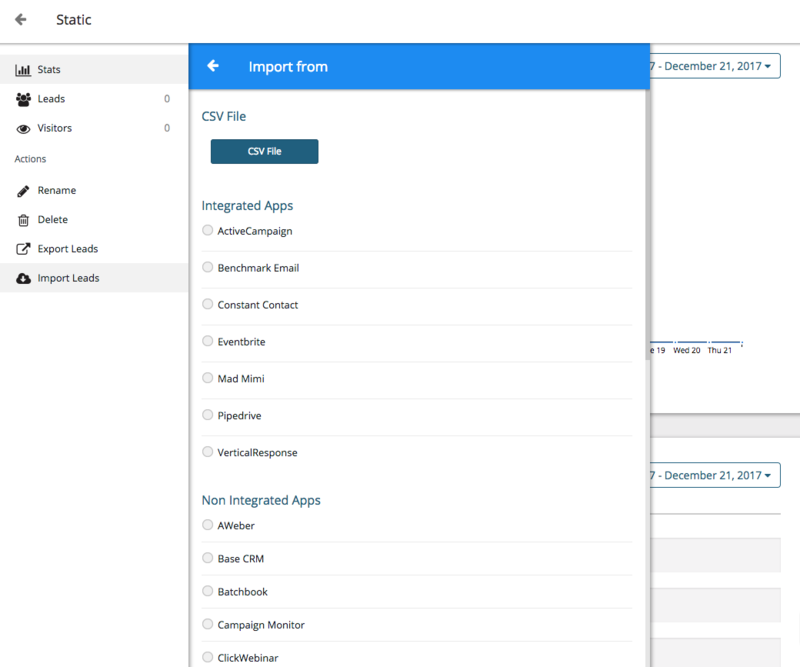 Static lists are more rigid, you can either import a CSV file or it is connected to a specific campaign (leads would be added based on converting on the campaign). Keep in mind that Static lists allow you to directly delete leads specifically in the list, or delete a lead from the wishpond account. When deleting leads from lists keep in mind that deleting leads in a Smart list will permanently delete them from your leads database. However Static lists have the option to simply remove from the list, or delete them from your leads database.